The film adaptation of The Hunger Games is a success — so it was no surprise that a sequel is in the works. The second book is now being adapted as The Hunger Games: Catching Fire. 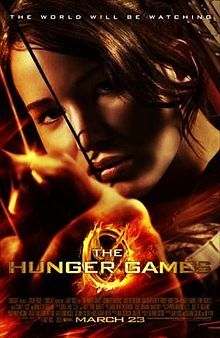 The second movie will explore the consequences of Katniss’ and Peeta’s actions in The Hunger Games; along with Katniss becoming a symbol of a rebellion against the Capitol. Jennifer Lawrence will return as Katniss, with Liam Hemsworth and Josh Hutcherson reprising their roles as Peeta and Gale. The part that has me even more stoked? Rather than film the sequel in 3D — and essentially change the aesthetic connection between the two — it’ll be filmed with IMAX cameras once again. The Hunger Games: Catching Fire is slated for theaters November 23, 2013.